You are look at a brand new Shake Weight for men. It was taken out of the package though, It came in a plain brown box but included the workout DVD and instructions. As you hold the Shake Weight, it pulsates back and forth, challenging your muscles while you hold it steady. Scientific studies indicate that the Shake Weight increases your upper body muscle activity by more than 300 percent compared with traditional weights. It's the fast, easy, effective way to work out your upper body. 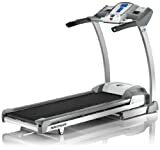 Plus, it fits easily inside a suitcase or shoulder bag, so you can bring it along to the hotel, the office, or anywhere else you need a quick workout. The lightweight, portable Harbinger® rolled Durafoam™ mat is great for Yoga, Pilates, and stretching. The 3/8-in closed cell Durafoam™ material makes floor workouts more comfortable, and the non-slip surface grips to floor to prevent injuries. The moisture-resistant skin is easy to clean after use. 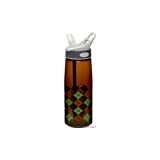 Camelbak Better Bottle .75L Chocolate Argyle BPA-Free Manufactured without Bisphenol A /BPA Resistant to retaining odors, staining & Extremely durable ! with molded-in graduation. Features flip-lock bite valve with removeable straw. Spill-proof design. Molded handle. Dishwasher safe. The original kick scooter, the Razor A is a handy little ride for kids and teens alike. Though it'll never replace the internal combustion engine, the scooter will get your child from point A to point B much quicker than on foot alone, and requires just a few scoots of one's shoes in the process. Plus, it's a blast to use, as your progeny will likely attest. The Razor Aggressive is an excellent quality multi sport helmet in a classical design. Youth fits head sizes 21.5 to 23 inches. Your perfect choice for biking, skating or any other sport that requires protective headgear. On the street or in the half pipe the Razor Aggressive provides you with superior security and protection. The erogonmic designed padding and an additional pad set for the perfect individual fit guarantee ultimate comfort. The eleven vents keep your head cool at all times and the side release buckles make it a breeze to adjust and fasten your chin strap. Factory contact information at 1-800-451-KENT (5368) or www.kentbicycles.com. Mens GMC Denali Light weight aluminum road bike has a 21 speed Shimano derailleur. ~ For any service questions contact Kent at 1-800-451-KENT (5368), EST.,for replacement parts, repair kits, tools and warranty information. The GMC Ladies Denali Road Bike delivers higher performance at a lower price. At the heart of this Denali Road Bike youll find a high quality lightweight, step-through aluminum frame for a stiff, responsive ride. Try out our GMC Denali 24" girls road racing style bicycle features an Aluminum frame and durable steel fork, sized for the smaller rider. The frame size is 16", stand over height is 21". It has all the strength and durability and style of the full size Denali in a proportional size. This bike bridges the gap for riders who are still growing, or are stature challenged but want a good quality vehicle for exercise or transporation.